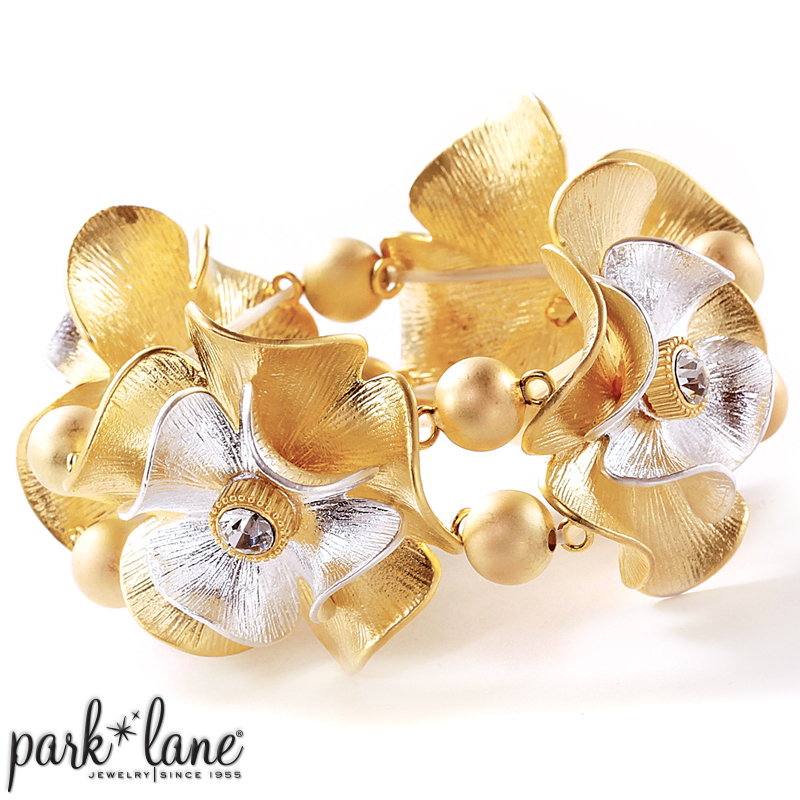 This summer treat yourself to brilliant adornment! Adele`s unique flowers are 3-dimensional sculptures presented in frosted matte silver and matte gold on a chain necklace of stippled matte gold open links. A glittering solitaire crystal is nestled in the center of each magnificent bloom. 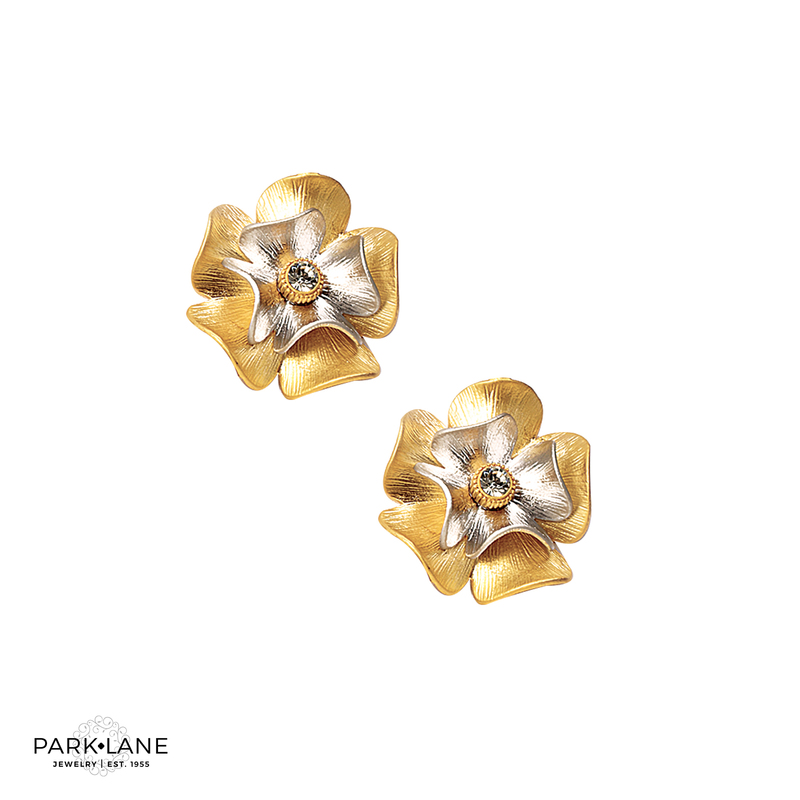 A single flower is used to create the outstanding post-style pierced earrings. 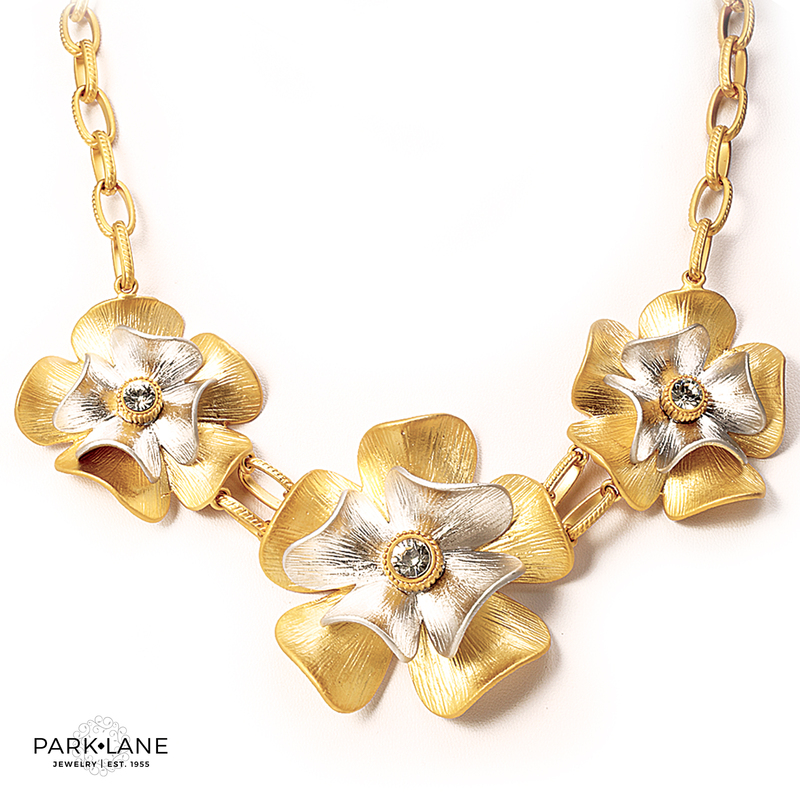 The necklace`s parade of gorgeous blossoms will glamorize any outfit. Adele bracelet is a true show-stopper! So stunning, you`ll want to wear it with everything! Slip it on and step out armed and fabulous wearing Park Lane! Necklace is 17 inches long plus a 3-inch extension. Pierced earrings are post-style. Bracelet expands to fit the wrist.